If you don’t have a mobile responsive site, you’re missing out on business. More than ever, searches are conducted on mobile devices. So in response, Google is in the process of rolling out mobile first indexing. What is mobile first indexing and what does that mean for your business? Bottom line, it means you can’t sit still. It means you need to optimize your site for mobile traffic. Ready or not, more and more people access the web while on the go, not just sitting at their desktops. Your site needs to provide a first rate experience for mobile users or your business will suffer. An index, in an antiquated thing called a book, is the handy reference that allows you to look up a topic of interest and find the relevant page numbers. Google’s search engine has crawled the Internet, gathering website information from link to link. Google’s index has been based on desktop versions of sites. Their index is a compilation of all the websites they scoured. When you enter a search term, Google’s index provides you a list of relevant sites based on that search term. Now that mobile searches outnumber desktop searches in the U.S. and a handful of other countries, Google is switching its primary index to the mobile version of websites to better reflect our search habits. That means your mobile version needs to be as good as your desktop website or the new index might not rank you as highly as it used to. That’s not cause to panic—yet. However, mobile first indexing should cause you concern. It should motivate you to assess your current desktop and mobile websites and to make the changes that will keep your business high in the rankings in mobile first indexing. Once searching tipped in favor of mobile in 2015, Google decided to explore mobile first indexing. Rather than crawling the web from a desktop point of view, they have started to shift their indexing to the mobile version of your content. It’s in your interest to make sure that your mobile content is the same quality as your desktop version. Assessing your mobile version is critical because not all mobile versions are created equal. Knowing the difference will either lead you to sigh in relief or go into full panic mode. Fortunately, there are actions you can take to address mobile content shortcomings. So do you know how the mobile version of your website was created? If you don’t, you need to contact your web designer and find out. Now! If it isn’t the version Google prefers, you’ll need to revamp your mobile site. Mobile versions are basically created in one of two ways. Your site is either a mobile clone or mobile responsive. While both versions have served well enough in the past, that’s changing with the implementation of mobile first indexing. Here’s what you need to know. One approach to creating a mobile friendly website has been to clone your desktop version and then modify it to improve how it looks on a small screen. This cloned version is put on a subdomain of your website. If your mobile site address is something like m.yourwebsite.com, then your mobile version is probably a clone. Another giveaway that your mobile version is a clone is that any changes or updates in your desktop version aren’t automatically changed or updated in your mobile version. This version might be scaled down in other ways with less content than your desktop version. If so, mobile first indexing could hurt your ranking. The other approach to creating a mobile friendly website is to build responsiveness into the site. This website design is so smart it adjusts what’s displayed on the screen to match its size. Whether the user is viewing your website on a 17-inch desktop screen, a tablet or smartphone, your site looks good and functions seamlessly. Although more technical work goes into creating a mobile responsive website, one benefit is that changes or updates are automatic. Because your mobile version is virtually identical to your desktop version, your content and links are the same. That means that your rank should remain the same on mobile first indexing. Google recommends using a mobile responsive website. What works for Google will work for you! It’s the smart move to make. If your site is already mobile responsive, you can now heave a sigh of relief. You shouldn’t notice a drop in your rank. Your website is ready to make the transition to mobile first indexing. Congratulations! If not, it’s time to make the switch. If you dread making the transition, just consider the consequences if you don’t. You don’t want your rank to drop, putting your site on page 2 or 3 or worse. No one will find your business because no one likes to scroll through that many listings! The effort to switch will be worth it. Don’t assume that mobile responsiveness is all you need to optimize your site for mobile traffic. Site speed also matters. Make sure that pages on your mobile version load quickly. As good as smartphones are they generally don’t have the power of desktop computers. Don’t risk a lower rank because your mobile version loads too slowly. It’s also essential that you understand when, where, and why customers access the World Wide Web. During the day, people at work are on desktop computers. In the evening those same people are more likely to be on their smartphones or tablets. Of course, they have desktops at home, too. They just use desktops for different reasons. 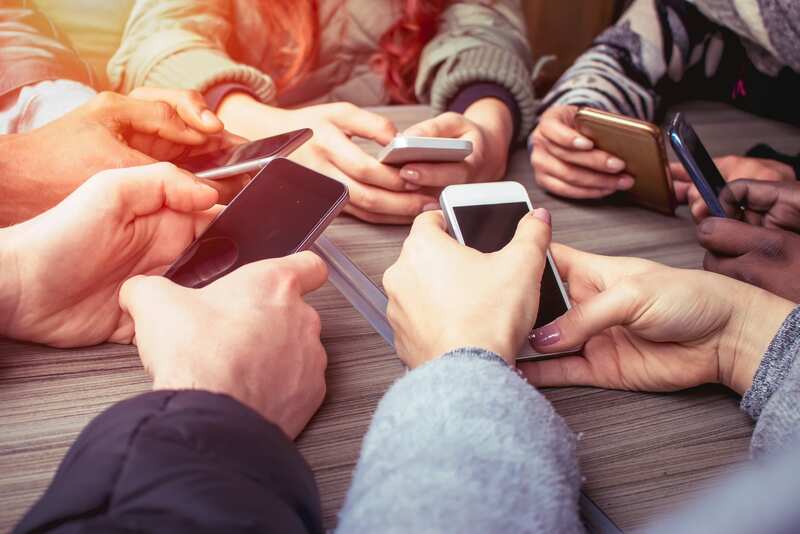 Checking in with friends and family on social media, along with monitoring news or weather, and of course, text messaging are the routine ways people use smartphones. They also search for places to go and things to do. Make certain that your business prominently highlights your phone number on your site. Contact information is sometimes almost hidden on sites created for the desktop. But customers are still more likely to turn to their desktop computers to research and purchase products online. Keeping these differences in mind will help you build a better website. For now, Google is continuing to use its original desktop indexing even as it phases in mobile first indexing. How long this dual phase will last is unknown, but you can be sure that at some point Google will switch to mobile first indexing exclusively. Prepare for that day now or get left behind tomorrow. If you’re feeling worried about mobile first indexing and about how to optimize your site for mobile traffic, your first call should be to Solutio. Knowing what you need to do and having the technical know-how to do it don’t always go hand-in-hand. It’s our business to provide you with the technical know-how you need to get your site found. Our staff takes pride in staying on top of developments in website design. We’re geared up to assist you with the transition to mobile first indexing. Our expertise in website design and mobile responsiveness will serve you well. Call us at (989) 486-9283 or Contact Us to schedule a free consultation. We look forward to hearing from you!